Grant are an award-winning and innovative heating company with over 40 years of heritage. For many years Grant specialised in oil-fired condensing boilers but more recently the company has added innovative renewable technologies like air source heat pumps, biomass boilers, solar thermal and hybrid systems to their range. Grant heating systems have a reputation for quality that is second to none so if you’re looking for an off-grid heating system you can’t go far wrong with Grant. Send us a quick enquiry today using our simple form and we’ll find you up to 3 free quotes from Gas Safe heating engineers near you. There’s no obligation to use any of the quotes you receive, but you could save a significant amount of money by comparing prices. Energy efficiency is a top priority for Grant Boilers and their popular Vortex Pro combi boiler is no exception. Winner of Which? Best Buy in 2008, this range is still proving a great choice in UK homes. Quick and simple to install as well as compact and unobtrusive, choosing the Grant Vortex combi makes sense for lots of reasons. Combi boilers are one of the most popular choices for homeowners, not least because they deliver hot water for taps or radiators on demand. The other big benefit is that there is no need for a bulky hot water tank or a large hot water cylinder to be installed either. Many modern homes don’t have a traditional ‘airing cupboard’ or sometimes even a loft – which means that a compact combi boiler really is the only effective choice in these cases. 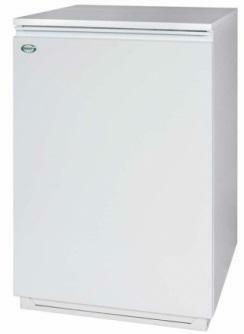 How Much Does A Grant Combi boiler Cost? When you’re working to a specific budget for your new boiler, and you’re keeping an eye on the ongoing running costs for heating your home in the colder months, it pays to take time to do the sums and work out the best deal for you. When considering the cost of a new Grant combination or ‘combi’ boiler, take into account the purchase price, the installation cost (using a qualified and regulated heating engineer) and the overall running costs for fuel, servicing and maintenance. Once you have the complete picture, it’s much easier to manage. And you will hopefully be pleasantly surprised at how much more energy efficient and therefore cheaper to run a new boiler proves to be. Get quotes for a new Grant boiler. Regular boilers are common in older properties, although modern versions are now sleeker and more energy efficient. So you might think you just want a simple, like-for-like replacement for your regular boiler, however there are still some decisions to be made about exactly what system would be best for your home. Grant Boilers have various options in their regular range so one of the big considerations is where the boiler needs to go. With a choice of floor standing for utility rooms, wall-mounted for kitchens and even an external boiler, there’s plenty to think about. You’ll also need to take into account the size of your property and the number of radiators and bathrooms the boiler will be serving. Grant’s regular range offers a choice of options. You’ll probably already be aware that a new boiler is a significant outlay so it’s important to take the time to shop around to ensure you get exactly the right system for your needs – and of course make sure you aren’t paying over the odds. A good tip is that it’s always a good idea to get multiple quotes for your new boiler installation. Contacting three reputable heating engineers for a quote is good practice as individual rates can vary quite a lot. 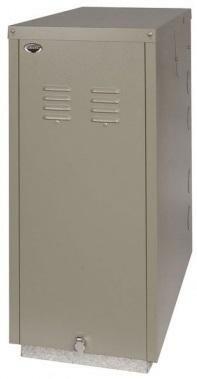 Get quotes for a new Grant boiler. It’s important to keep your boiler in the best possible condition with an annual boiler service by a professional engineer. This will ensure the boiler can operate as efficiently as possible, keeping heating bills to a minimum, and that there are no potential safety issues to be concerned about. A boiler service is also a great way to catch and fix small repairs before they have the chance to worsen over time and cause an expensive breakdown. Find out what’s involved in an annual boiler service, why it’s so important, the benefits and how much they cost in Grant Boiler Service. Every boiler manufacturer offers a standard warranty with their boilers which last between 1-10 years. The warranty is your insurance policy and means if a fault develops the manufacturer will resolve it within a specified time frame. Some warranties include both parts and labour while others may only cover parts. The most important thing to remember is to get your boiler serviced by an OFTEC registered engineer every year as failing to do so is likely to invalidate your warranty. For more detail about this brand’s warranty (including the small print) take a look at Grant Boiler Warranty. Even the highest quality boiler can develop faults and problems as they age. Some are minor issues you may be able to handle yourself but most will need an OFTEC registered engineer to diagnose and repair the problem. To find out if there are any common problems associated with this manufacturer you can read our guide to Grant Boiler Repairs & Common Grant Boiler Problems. Although for many years Grant specialised in oil boilers the company is now focused on incorporating more environmentally friendly products into UK homes. The product range in includes the Aerona3 air source heat pumps, Spira and Vecta biomass boilers, Sahara solar thermal collectors and VortexAir hybrid systems which combine an oil boiler with an air source heat pump. Error codes may appear on your boiler’s display; it’s your boiler’s way of telling you that something is wrong. Each manufacturer uses a different coding system to help an engineer to diagnose a fault. In some cases it may be a simple issue such as low pressure which you can adjust yourself but more technical faults will certainly need a professional. We’ve put together a list of error codes for all Grant Boilers to help you understand what’s wrong before you contact an engineer.